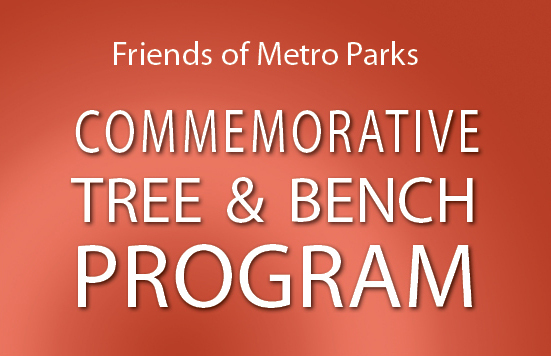 The Friends’ Commemorative Tree & Bench Program allows groups and individuals to donate trees and benches to honor or commemorate friends or loved ones as well as commemorate special events. Trees and benches purchased through the program are planted or placed in a scenic location at one of the Metro Parks. Your gift will be a wonderful remembrance or commemoration of a special occasion that adds beauty to the natural environment. It is also a valuable contribution to the Metro Parks system which is utilized by people of all ages and abilities. Friends of Metro Parks is a non-profit, membership-based organization focused on supporting Metro Parks through interactive activities, advocacy and fundraising.